Affiliates are always concerned about competion, as they should be. We’re worried about losing our rankings in google, or that we’ll never take over the likes of Pokerlistings when it comes to general poker terms, or sites like RakeTheRake when it comes to rakeback. Yet competition is a good thing. A great thing. Let me tell you the story of two used multimedia stores in my area. You see – people are too focused with internet marketing, and never think enough about marketing in general. In reality you can go into Walmart and learn more about marketing in an hour than you could by reading some random internet marketing e-book. Now these may just be marketing buzz words, but they personalize things for the consumer. 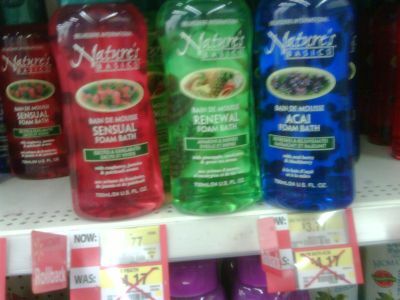 If I like to take a bubble bath after a day of hard work, I’m going to purchase the Acai Foam Bath. If I like to take bubble baths with my wife, then the sensual foam bath is the obvious option. That’s basic marketing – personalizing things for the consumer, and matching their needs. Too many of your websites are generalized. “Best Poker Room”. That doesn’t work. How about “Best Poker Room for Canadians” or “Best Poker Room for University Students” or “Best Poker Room for Beginners”. Terms like that are going to give you higher conversion rates than the blanket phrase “Best Poker Room”. For more on this topic, read Grahams excellent post: Real Estate Negotiations vs Website Purchase Negotiations. The story of the two used stores…..
Store #1 opened in the downtown area many years ago, and dealt exclusively in buying and selling used CDs and records. They ultimately had a monopoly in the area, with no competition. Based on this, their prices for selling were low, and their prices for buying were high, as they could milk the consumer for all they were worth. The owner of the store also seemed a bit elitist and pretentious – he always wore a suit to work, and the in-store music was nothing but classical music. He was the kind of person that would look down on you if you asked if Green Days “American Idiot” was in stock. A year or two later, Store #2 opened directly across the road. Store #2 was a lot different than #1. They were a lot more youth orientated. Store #1s owner wore a suit – Store #2s owner wore a Grateful Dead t-shirt which showed off some awesome sleeve tattoos. They covered everything, including DVDs and Video Games. On top of that, they would allow anyone running a music show to come in and put flyers up on the window and billboard. This was a store that knew its audience, and knew how to market to them, and it worked. Business was booming right from the begin, and this store would soon turn onto a franchise with many more locations across Canada. Of course store #1 wasn’t ready to give up without a fight. So he started doing video games and DVDs too, and both stores competed with each other. No joke: both stores had signs in their window saying they’d buy your merchandise for $1 more than the store across the street, and they’d also sell it to you for $1 less. This was something that ultimately helped both stores. While store #2 was still dominant, Store #1 opened up to a wider consumer base, and with no real brand loyalty towards store #1, was able to take a lot of their customers due to the $1 less routine. 5 months ago, Store #2 closed and moved to a new location a bit further downtown. This was a prime location in a great spot, however I wondered if they moved just so there was no competition around them. I asked the owner, who told me that they moved because business was so great that they were running out of room, and they were able to snap up this bigger location, for $1000 more a month in rent. Business was that good, that they were able to do that with ease. When I asked him about the competition, he said he would actually miss it, and he felt it was the best for both businesses to have this sort of competition. The inspiration for this article came today, after I went uptown to get some groceries. On the way home I noticed that store #1 had a 50% closing down sale. I went in and talked to the owner, and he confirmed what I thought: the competition was a good thing. When store #2 moved downtown, his store died. People weren’t coming in anymore. He had made the mistake of upping his prices again, thinking that he could “own” that whole area. However people were prepared to walk 5 blocks further downtown just to shop at Store #2. He tried various things, before realizing that unfortunately it just wouldn’t work, and he had to close up shop. Even with a 50% off sale, the place was still a ghost town. He told me the sale has been going on since Tuesday, and he’s had maybe 6 customers during that time. And the weather has been beautiful here too, with downtown busy with people, so that can’t be a reason for it. He learned the harsh truth: competition is healthy, and you have to embrace it. Competition is great for the businesses as well as the consumers. If you’re a wrestling fan, then you know the example I am about to say. Back in the late 90s when the WWF(now WWE) were competing heavily with WCW, wrestling was a blast to watch. Now WCW is dead, and years later – well, to call the WWE “a shell of its former self” would actually be a compliment. It’s two hours of the most mind-numbing, boring television you’d ever see. Because without competition, they become complacent. Think about when you want to launch a new website. Think about the keywords you target, and how motivated and pumped you are. All these new plans, all these goals to get to the top rankings, and all the work you are prepared to put into it. Now think about a website you’ve had for awhile, and it’s dominating a niche. How often do you actually do work on it? Is it fair to say now you’ve got the site where you want it, you’ve became complacent? I’ll use two perfect examples. I’ve got this site here, Affiliate Bible, and my new site, Casino Answers. 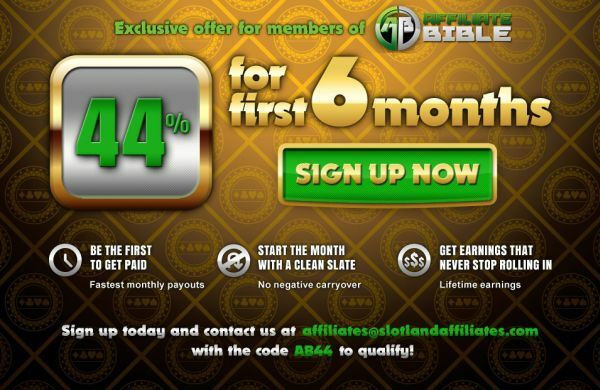 Affiliate Bible currently dominates a lot of the main poker affiliate related keywords, and I think it’s safe to say I have one of the biggest sub-affiliate networks in gambling. I really don’t have to do any more “work” on this website, and it’ll still be bringing in money, and based on any other affiliate sites that have propped up, I’m really not concerned about the competition at this stage. Then there’s Casino Answers, my new casino website. My aim for this website is to make it the ultimate online casino website out there. I have so many goals and plans for this site, you’d be amazed. I’ve worked almost exclusively on it for the last three months now. There’s a lot of competition out there, and it’s not going to be easy, that’s for sure. Content is king, so let’s base my work on each site on that. 1. A 1849 word article. Articles I have added to Casino Answers in the last 30 days. 125. Over 110,000 words of unique content. As you can see, it’s easy to become complacent even if you don’t want to be. I love writing on Affiliate Bible, but I’ve accomplished the goals I initially set, so now I usually do it for fun. 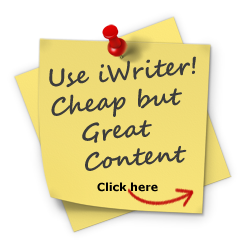 I write because I’m inspired or motivated, not because I want to increase my google rankings. While with a site like Casino Answers, there is a team of 4 of us that work our asses off on it every day, because of all those competitive websites out there. It’s because of the competition that one day it will become the most authoritative website for online casinos, not in spite of them. So the next time you build a website targeting a specific keyword and see that it’s nowhere on the google rankings, languishing on page 5 behind a bunch of crappy banner farms and other sites – don’t hate. Don’t get mad. Don’t get frustrated. Because it’s those competing websites which will motivate you even further, and ultimately help improve your bottom line. This article was written on May 27, 2010 however all articles are looked at on a monthly basis and updated to keep them relevant.